In early 1940, Heinrich May was transferred to the conquered Polish territories annexed to the German Reich, where he was appointed forest superintendent for the Koło district. Within the scope of his duties he was also responsible for the forests that would later be part of the Chełmno extermination camp. May became a witness to mass murder at this camp and was deeply shocked by what he saw. In early 1945 May fled to western Germany and wrote a report about what had happened during the Nazi occupation in the Koło district and the Chełmno camp. When the Americans arrived, he handed them this report. The above information was taken from Schmuel Krakowski, Das Todeslager Chełmno, Kulmhof: der Beginn der "Endlösung, pp. 39-40). According to Krakowski, May was a member of the SS but left this organization due to what he had learned about Chełmno. 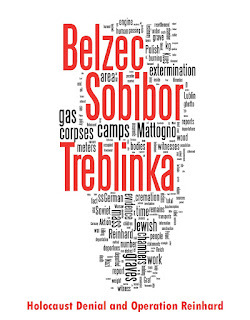 A partial translation of May's report, transcribed hereafter, is included in the collection Chelmno Witnesses Speak, edited by archaeologist Łucja Pawlicka-Nowak, which also includes other eyewitness testimonies and a footnoted version of the archaeologist's article about archaeological research on the grounds of the former Chełmno extermination camp. In the autumn of 1941, a local forest ranger, Staegemeir from the Ladorudz forestry, informed me that a special commando (Sonderkommando) had arrived in Chełmno. They demanded some wood for furnace fuel. Staegemeir had a serious expression on his face, which I did not notice from the beginning. Because Hermann Goering, Commander-in-Chief of the Luftwaffe and President of the Reichstag, was due to come to Koło County for a hunting trip, I thought the commando was there to protect him. I told the clerk to give Staegemeir some wood. Sometime later, I was traveling by car with Landrat (the district administrator of the Koło County) and Kreisleiter (the Party Leader of the Koło County) Becht from Chełmno to Koło. When we were passing through the forest Becht said, pointing his finger in the direction of district 77, "Soon your trees will grow better." When I gave him a questioning glance he added: "Jews make good fertilizer." I wanted to find out more, but Becht’s face became mysterious and he changed the topic. I thought for long about those allusions, but I could not come up with any explanation. I gave up the suspicion that some horrible action against the Jews was about to be carried out, as it defied any common sense. I remembered the behavior of the local forest ranger Staegemeir, which I could not explain, so I tried to forget about all this. I did not know the brutality and cruelty of the national-socialist regime yet. A few weeks later my youngest son returned home from school for vacation. I took him around through Koło and Chełmno. Near the district 77 (the road ran through the northern strip of the district), there was a large, closed van stuck in a ditch. It was attached to another vehicle trying to pull it out of the ditch back on the road, which also became blocked. My son got out of the car and went up to the men in police uniforms near the van. I heard them address my son harshly, so I also got out and walked in their direction. The vehicle in the ditch was about four meters long and two meters high; the rear was closed with an iron bar and padlocked. A peculiar, unpleasant smell was coming from the van and the men. When I asked if the road would be passable soon they answered rudely that they would move out of the way a bit. Then they told me to leave quickly. A few days later my son was in Koło. After he returned home, he told me that Jews from Koło were being herded together by gendarmes and driven away in trucks. Then I thought about what Becht had told me and I no longer had any doubts that something terrible would happen in the Ladorudz forest; something I had been unable to believe after my first suspicions. I phoned the local forest ranger immediately and asked him what was happening in his forestry. He answered that district 77 was completely occupied by the gendarmerie. When he approached the post during a round, a guard told him to turn back immediately and leave the place or else he would shoot him. The guards were ordered to shoot anyone approaching district 77. Staegemeir could not tell me anything else on the phone. I told him to stay home and drove to his office. I saw other covered vans on the road, which were headed precisely for district 77. In the district there was a thick pine forest and a young, 12-15-year-old wood. Staegemeir explained that a strong gendarmerie detachment was stationed in Chełmno. An old palace near the western road exit was tightly enclosed with a high wooden fence. The exit to the palace grounds was constantly covered by a guard with a submachine gun. Vans with Jews continually drove into the courtyard. Then the tall, entirely closed vehicles drove from the palace to district 77 in the forest. When I asked what all this meant, Staegemeir shrugged his shoulders and answered that he did not know anything. There were rumors that in the palace Jews are being poisoned with gas and buried in district 77. These were just rumors; he did not know if they were true. However, he asked me not to talk about it with anybody, because whoever spoke about it would be shot. On my way back to the forestry I passed through Chełmno. Staegemeir’s information on the wooden fence and the post were true. In Chełmno itself, there was quite a long line of tarpaulin-covered trucks. In the truck there were men, women and children tightly crowded together. When I stopped next to one of them for just a moment, a gendarme came up to me immediately and said harshly that it was forbidden to stop there and ordered me to head off immediately. The gendarmes made a bad impression, they looked stern and cruel. During short stops, I saw the first van approach the wooden fence and the two guards open the gate. The vehicle disappeared into the courtyard. Right after that another van left the courtyard through the gate and headed for the forest. Then the guards immediately closed the gate. Beyond all doubt something extremely atrocious was going on there, something the world had never witnessed before. I could not sleep for many nights. Moreover, I had no one to talk to about the matter. It was clear to me that Becht was informed about the arrangement of the events. As a witness he could also provide significant evidence. I was indignant at the fact that they had occupied part of the forest under my supervision without asking or even informing me. I reported the case to the inspector during my visit to the Forestry Office. He also condemned the actions and advised me to file a complaint to the district administrator (Landrat) of the Koło County. He himself wanted to introduce the case to the heads of Forest Management Office in Poznań. I resigned from filing a complaint to the district administrator, because the conversation I had with the inspector did not hold much promise for success. Actually, I was expecting the intervention of the State Forestry Office. However, no news was forthcoming from them either. It became clear to me that all this was happening on the order of very high offices. During the following visit in the Ladorudz Forestry, I started discussing the events with Staegemeir. I asked him if he had learned anything new. He told me that the communal secretary from Chełmno (Amtskommissar) (the communal administrative offices were located near the old palace) was arrested by a unit (Kommando) and had disappeared without trace. Supposedly, he had written about what was going on here in some letter. I decided to pass through Chełmno on my way home, even though it lengthened my journey. Passing through, I noticed that the doors to the Catholic Church situated next to the palace were wide open and the floor was covered with piles of used clothes. Apart from that, the view had not changed in Chełmno itself, there was a row of buses packed with people, and on the road to the forest there were the tightly sealed trucks. A nasty odor, like the one I first detected by the truck stuck in the ditch, filled the air. As I learned much later it was an anti-typhoid agent. Around the palace, German and Polish peasants were going about their daily lives, working and observing those mysterious events. In the meantime, the communal administrative offices were vacated, and a gendarmerie unit moved in. While driving through Chełmno for that second time, I saw four young men, their ankles tied together with thin steel chains, led by an armed guard. The men were emaciated and dazed. The residents did not say anything about what was going on in the old palace; it was a public secret. The special unit organized drinking sprees. Vodka and cognac flowed in streams. The Jews from Koło County were exterminated first. Many escaped to other counties, but the terrible fate reached most of them anyway, as it moved from one county to another. Simultaneously, Jews suffering from typhus and those suspected of being infected with the disease were brought in from the overcrowded Łódź ghetto. When there were no more Jews in the nearby villages, others were brought to Koło by railway. From Koło they marched to an old building in the estate of the village of Powiercie, from where they were transported to Chełmno in trucks. During the severe winter of 1941-1942, atrocious scenes took place. I saw a column of wretched people: men, women, children, and the old, dragging along the streets of Koło. A horse-drawn wagon followed the column, and was probably there to take those unable to walk. Near the post office I saw how a woman carrying a small baby, probably only a few months old, slipped and fell. The baby was probably half frozen, since I did not hear it cry. One of the escorting gendarmes grabbed the baby’s leg and threw it onto the wagon like a piece of wood. Those who could not keep the pace because their knees were trembling from fear and cold were driven on with blows from the butts of guns. I saw two beautiful, well-dressed girls dragging an emaciated woman with great difficulty. It must have been their mother. When the woman could not walk any further and fell to the ground, the girls tried to help her stand up. They fell behind the column. One of the escorting gendarmes went up to them and started yelling: "You filthy Jewish trash! I bet you just want to travel by wagon!" For many nights I tossed and turned in my bed. I could not sleep. All the time I had that terrible picture before my eyes. People in the streets watched those sorrowful marches with expressionless faces. Germans and Poles. I cannot understand why those people did not scream out their highest indignation and drive away the beasts. But, do I have the right to wonder? I did not do anything myself. Any careless word meant death. All rights were suspended in the Wartheland (Warthegau). Protesters would have been immediately arrested by the special unit (Sonderkommando) and put to death. I know one thing for sure: I will not believe in God anymore since this regime is expected to win the war. Later, probably to hide such scenes from the public, the prisoners were transported from the railway station in Koło to the estate in Powiercie by narrow-gauge railway. There, they were placed in the solitary building mentioned earlier. One day I went to the Powiercie estate manager on business. I walked through the estate park to the place where the narrow-gauge railway wagons were unloaded. From behind the hedge I observed what was happening there. A group of people formed a column along a dirt road. A few ill people were lying on the grass by the railway track. Others dressed their wounds, brought them something to drink and tried to ease their pain. When the column was already formed, two gendarmes appeared and drove the ill with blows from the butts of guns. One of the Jews, who was caring for the ill shouted indignantly: "Even cattle aren’t treated in this way." I understood that sentence because it was in German. The gendarme raised his pistol in the direction of the Jew. I thought he just wanted to scare him, but then a shot rang out. The man fell. He tried to stand up, but fell again. He remained there, lying calmly with his head on the railway track. Light-red, frothy blood was streaming out of his mouth. The frightened ill got up and staggered to join the column. One of them was too weak and fell again. One shot and he didn’t get up again. The gendarmes took four Jews from the column. They had to load those who had been shot into the truck parked nearby. I heard one of the gendarmes say: "You filthy pigs." In the spring of 1942, I was called to the State Forestry Office (Landesforstamt) in Poznań. There I was told to report to SS-Oberführer Dr. Mehlhorn in the Reich Governor’s Office (Reichsstatthalterei). When I turned up there, SS-Oberführer Dr. Mehlhorn implied I must have known what was going on in Chełmno. Then he warned me to keep it strictly secret. If not I would surely not avoid the death penalty. He also told me that the commander of the special SS unit, Sturmbannführer Bothmann, was authorized to contact me about the reforestation of the burial fields in district 77. He said it was vital that those graves be concealed. Then he added: "At worst we will have to report those graves as the ones of the murdered German civilians. (Volksdeutsche)". Suddenly, it became clear to me how Goebbels reached 60,000 for the total number of the murdered Volksdeutsche. The photographs of the shot Volksdeutsche published in the illustrated magazines showed mostly murdered Poles and Jews executed in the forests. One day Forest Manager Kranold from the Forestry Office in Poznań told me that 30,000 Poles were to be executed in the forests under his authority. Mehlhorn stated that district 77 would have to be enclosed with wooden poles. The concealment was absolutely urgent and had to be carried out immediately. Apparently, the order must have come from higher authorities. It might have had something in common with Katyń. These are however only my conjectures. After a few days the commandant of the special unit, SS-Sturmbannführer Bothmann, turned up at my house to talk over the concealment works. I noticed Bothmann was wearing a 1st Class Medal for War Merit (Kriegsverdienstkreuz I Klasse mit Schwertern). I went with Bothmann to district 77, and I was terrified entering that place for the first time. In one of the clearings, enlarged by cutting down some of the trees, I saw a grave about 200 meters long (650 feet) and five meters wide (16 feet). The grave was covered with earth that was about two meters high (6.5 feet). A bit further on I saw another grave 50 meters long (164 feet). In the neighboring clearing there was one more grave about 150 meters long (492 feet). About three-quarters of the length of the grave was covered up. From my side it was still open. I did not have enough courage to go there and look into it. Soon after, an enclosed truck appeared, which was moving backwards and then stopped right in front of the open part of the grave. The gendarme opened the van and I saw a pile of naked bodies. I was standing about 80 meters (262 feet) from the van. A group of half-naked forced laborers, supervised by one of the gendarmes, hurried to throw the corpses into the grave. Bothmann told me that the bodies had to be positioned precisely; otherwise not enough of them would fit into the grave. Parallel to the grave, a motorized excavator with a conveyor belt was digging another grave. The conveyor belt was also used to cover up the graves. About thirty young and middle-aged men worked there. None of them wore shirts. Bothmann told me he changed the workers every week. They "wore out" quickly and he was constantly on the lookout for new labor forces among the transported Jews. The workers’ ankles were tied together with thin steel chains so that they could walk, but not run. Bothmann said that those people often asked him to shoot them dead after one or two days, because they were no longer able to do the job. In such cases he drew a red cross on their backs; it was a sign for the guards to shoot the victims in the evening. They had to lie down on the ground with their faces down, and were shot in the head. The same fate met those who did not work diligently enough. I also saw workers eating dry bread during a break. One of the gendarmes, wearing a captain’s (Hauptmann’s) uniform, mentioned his name. However, I did not memorize it. His face was swollen like one of a drunkard and debauchee. He also wore a Medal for War Merit with Swords 1st Class. Bothmann told me that the man was responsible for the "work" in the palace. Bothmann, on the other hand, was in charge of the entire operation. A police captain stated that he had passed as strict order that all the vans leaving the palace had to be padlocked. One day the door of one of the vans swung open and "fresh bread rolls" fell out on the road. Although the doors were immediately closed, civilians witnessed some brutal scenes and consequently certain pieces of information reached the public. The clearings were filled with armed gendarmes. Bothmann told me they were all sharpshooters. He also told me that many times some of the laborers tried to escape. But no one had ever gone very far before the bullet of an expert marksman reached them. One day before departure after roll call, one of the workers turned out to be missing. The guards asserted that no one had escaped. After a long search, he was found under a pile of brushwood. Of course, he was then killed. I ordered a large quantity of juniper seeds in a seed store to reforest the clearings. Some pines and birches were planted as well. I had to tell my wife about what I had seen and heard. The following day she said: "Why did you tell me about this? Now I won’t be able to sleep at night". I was very sorry, but said nothing. But I had to talk about it with someone. Bothmann was accompanied by Master Sergeant (Hauptwachtmeister) Plaate, who made an impression of being very insidious. When I returned to that place with Bothmann in the summer of 1942, in the period when the wooden fences were being put up, I saw the graves; an unbearable, strong, sweetish odor wafted up above the whole place. I had to cover my nose and I left the place as soon as possible. Bothmann showed me large round heaps of earth on the long graves, above which one could still see clouds of vapor. Bothmann told me about 250,000 people who had been buried there and another 100,000 would be buried soon. One day Bothmann came to the Forestry Office and said that his superiors had ordered him to burn all the corpses. He had already given an order to open up some of the graves, and tried to burn the bodies using thermite bombs. He also considered using fuel wood and demanded large quantities of it. The use of thermite bombs caused fires, which consumed part of the forest hiding the graves. The charred remains could not be removed, however, because then the graves would be visible from the road. I requested the fuel wood from the State Forestry Office (Landesforstamt) where I was ordered to give it to Bothmann. First, I provided him with a large quantity of poles and gnarled wood. Later I also had to provide some thicker wood. Finally, the demand was so great that I had to cut down all the trees in some of the forest districts. The authorities insisted that the action be carried out quickly, so the corpses were being burned day and night. A horrible odor wafted over the area for months. Westerly winds carried the odor as far as the Bylice forester’s lodge, situated about 15 kilometers (9.3 miles) in a straight line from the graves. During the construction of the fence I talked with the Master Sergeant (Hauptwachtmeister) of the gendarmerie. If I remember correctly, his name was Lenz. He made an impression of being a simple, kind-hearted man. I was interested in his attitude towards that horrible job he had been doing for months. He talked about it as if he did some decent, reputable job. For instance, he told me that during the first winter, it was quite hard because the earth was frozen and they did not have an excavator. Those infected with typhus were put to death first. They could not be used for unloading the dead as they were too weak. Finally, boys aged 14 to 16 did the job. In order not to spread the disease they had to work naked. The temperatures exceeded 20 degrees Celsius (4 Fahrenheit) below zero. When the vans doors were opened, the boys, half frozen, climbed inside and stretched out on the warm corpses in order to warm up. I had to use a stick to drive them out of there. Someone unaware of the situation might think such a description may have been given only by a madman. But I can assure you all this is true. And I am ready to repeat all my words under oath. During my next visit to the graveyard, I had a small camera with me to take a few photographs secretly. However, it appeared to be impossible. Wherever I went I was watched by the guards using ball cartridges. Taking photographs undoubtedly meant death. I thought about the communal secretary from Chełmno. I believed Hitler did not know anything about those terrifying crimes, until the moment I heard his speech directed to the whole world, delivered in the Parliament of the Third Reich (Reichstagrede), in which he boasted that he was murdering Jews all over Europe and would annihilate the whole nation. Never had human history seen such a cruel criminal. In Koło, in a restaurant called "Riga", the special unit organized evening parties a few times. Gauleiter Greiser also participated in the parties. Alcohol was streaming. Tobacco was abundant. Greiser allowed special leaves and gave everybody more money for the days off. After many attempts, cremation of the bodies was performed in pits about three meters deep (10 feet) and four meters in diameter (13 feet), reinforced with stones on the sides. The corpses were burnt in the fire inside the pit. The remaining long bones were pulled out and ground in a motor grinder placed in a wooden barrack. I do not know for what purpose this bone meal was used. There must have been lots of it. During my last visit to the graveyard, when juniper seeds were being sown, Bothmann showed me the bone grinder. In the barracks there were a few full sacks. Bothmann said to one of the people employed there: "Itzig, bring me some meal from the sack." The old man untied one of the sacks and brought two handfuls of snow-white finely ground bone meal. Bothmann asked him: "Do you know what this is?" The man was silent. Bothmann explained: "These are your fellow countrymen, people of the same race as you (Rassengenossen)". The man answered calmly and patiently: "What can one do?" His accent told me he was a German too. At the end of the conversation, I heard some pistol shots coming from the other end of the graveyard, where a fire was still burning. When I was later passing by the place, I saw five freshly-killed people lying by a pit with a hearth inside. They were lying with their faces up. Thin streams of blood ran across their faces. They had been shot in the head. During the process of burning corpses in open pits, one of the workers who had to throw the bodies into the flames, jumped into the fire, perhaps in a fit of madness. One of the gendarmes standing by shouted: "Shoot, shoot!" Maybe he was one of those with a remaining spark of human feelings. But another gendarme shouted: "Don’t shoot! We want to see how long he will remain alive." They looked at their watches and counted how long the man kept shouting until he turned silent. All those cruel beasts, there is no other name for them, used to be ordinary people. As children, they used to pray to God together with their mothers, they used to study their religion and had been confirmed. What has National Socialism made of them? In the old palace in Chełmno, 250,000 people, German and Polish citizens, were murdered. The process went like this: the victims were divided according to their gender and led to some room where they were told to undress before taking a bath. Having taken off their clothes, they were rushed into a small room lit with a small light bulb. In the room they were crowded together tightly. Then the door was locked and the light was switched off. The small building was nothing else but a specially designed gas van. In the vehicle there were cylinders with carbon monoxide, which after opening the vent, filled the inside of the van. First people who entered that small room indeed might have thought they were in some primitive bathhouse. For those who came later, it was obvious what fate awaited them. According to Plaate, sometimes the victims had to be driven into the van with the use of clubs. One day Bothmann told me that when they worked at full blast, they handled 3,000 people a day. Were all those people in fact dead when they were buried in the graves? No one can answer this question? When all the graves had been emptied and the Jewish workers had sown juniper seeds and planted pines and birch seedlings, all those who were still alive were also murdered and burnt. The special unit, except for a few men, withdrew. The old palace in Chełmno was blown up and razed to the ground, the stones (and bricks) removed, and the ruins leveled so that no one could realize that a large building used to stand there. Perhaps, in the place where a quarter of a million of innocent people lost their lives, a memorial will be raised to remind us of one [of] the cruelest events in human history. In the spring of 1944, Bothmann and his special unit returned unexpectedly and again demanded large quantities of fuel wood. The victims were now brought directly to the graveyard by narrow-gauge railway, following the reconstruction of a blown-up railway bridge. Gassing also took place there. I am not acquainted with all the details, as I was no longer authorized to enter the place. The unit (Kommando), as indicated on the letterhead, was no longer called the Chełmno special commando (Sonderkommando Kulmhof), but the Bothmann special commando (Sonderkommando Bothmann). I would like to mention one more event, which took place in the graveyard in 1944, which speaks of Bothmann’s extreme brutality. A young woman forced into a gas chamber started screaming wildly: "I don’t want to be gassed, I prefer to be shot". "All right, missy," said Bothmann. Then he raised his pistol and pulled the trigger. An old woman and her daughter wanted to commit suicide. She asked for a noose. Bothmann threw her a bra. The daughter lay on the ground and the mother put the loop around her neck. When the mother tightened the loop, the daughter started screaming out of fear. Bothmann and the accompanying criminals watched the horrifying scene with diabolic grimaces on their faces. Then Bothmann said: "Well, we are more humanitarian than that so get in the truck!" (Bothmann’s own words; witnesses: the district administrator [Landrat und Kreisleiter] Becht). The direct commander of the special unit was, as I have already mentioned, Bothmann. His superior was SS-Oberführer Damzog, who was primarily responsible for those criminal acts. I often tried to talk about this cruel act of destruction with officials in upper spheres. It was beyond my comprehension how they could react to it with such obvious indifference. Maybe that indifference was a mask, behind which they hid their fear in order not to give themselves away and avoid standing before the court. The system of law in the Wartheland had been suspended for a long time. There was only one law, the orders given by Greiser and his fellow criminals. It may be puzzling that the descriptions of the field crematoria, one by H. May and the other by SS Untersturmführer Walter Dejaco, mention round pits. May saw a pit walled off with stones, about 4 m in diameter and 3 m deep, while Dejaco described and sketched a pit which was 4-6 m in diameter with a safety barrier - an earth embankment around the pit. By contrast the outline of such temporary furnaces for burning corpses uncovered by the Museum are square or rectangular. 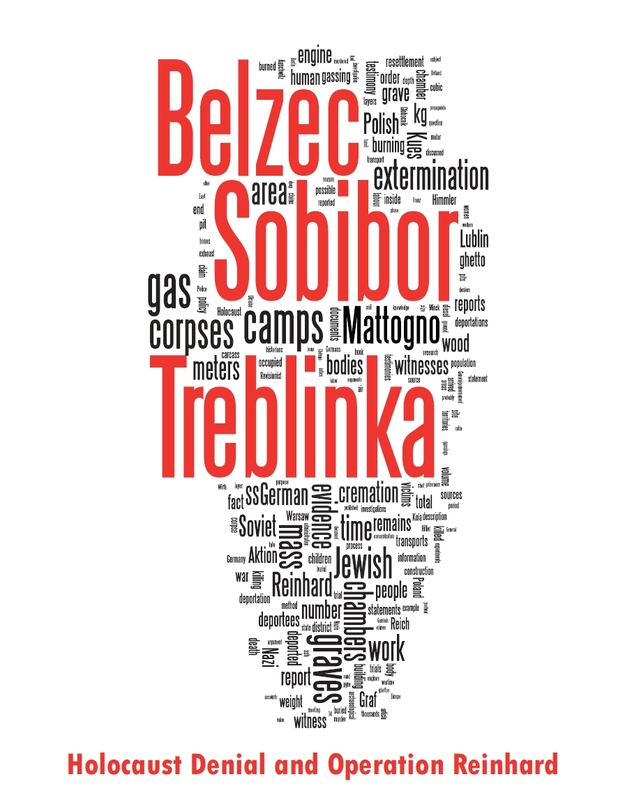 So Mattogno has ignored Heinrich May's above-quoted report, which is an important piece of evidence about the mass murder at Chełmno extermination camp. I’d call this another example of Mattogno's sloppiness - or of this dishonesty, considering that Krakowski’s book about Chełmno mentioned at the beginning of this article, which is copiously cited by Mattogno, contains a long excerpt from May’s original account in German on pp. 40-45 and another excerpt on pp. 60-61. Krakowski’s book is not much longer than Mattogno’s (183 vs. 170 pages of main text). What became of May after the war? I don't know. He possibly testified at the trial against former members of the Chełmno special commando before the Bonn Court of Assizes in 1962/63 (Justiz und NS Verbrechen Band XXI, Verfahren Lfd.Nr.594). Rückerl (NS Vernichtungslager im Spiegel deutscher Strafprozesse, p. 194) mentions that there were 2 Forstbeamte among the witnesses. These could have been May and Staegemeir. - Krakowski, Shmuel (a cura di), Mówią świadkowie Chełmna (Parlano i testimoni di Chełmno). Rad Ochrony Pamięci Walk i Męczeństwa,Muzeum Okręgowe w Koninie. Konin- Łódź, 1996. Unless May's account wasn't included in that earlier collection, this doesn't make Mattogno's omission of this important testimony look better, of course. On the contrary. May's testimony is also quoted in Saul Friedlaender, Years of Extermination.